This is a long overdue review of John Barton. 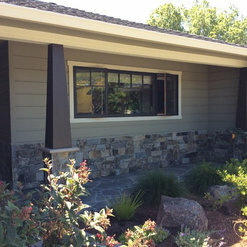 We hired him as our architect for a master bedroom addition and partial home remodel. John was courteous and professional, and patiently answered all of our questions. This was our first major project on the old house, so we required a lot of education. John was a helpful guide throughout the process. He was prompt with his deliverables at each stage, and if we caught an error, he would fix it quickly. While our project wasn't the most complicated (nor very big), John contributed some interesting ideas that made our small addition unique and allowed us to maximize utility of limited space. 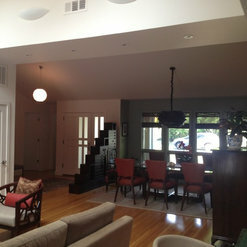 We were pleased with our final design and configuration, and our friends think the house looks great. John also provided us with a list of contractors with whom he had worked in the past and trusted. We ended up taking bids from three of them and hired one. When we needed John's input during construction, he made himself available and gave valuable feedback. Finally, I should mention that John's rates were reasonable for the services he provided, as compared to the market. He offered us a flat rate structure for the designing and planning stage, and charges hourly for additional services during construction. 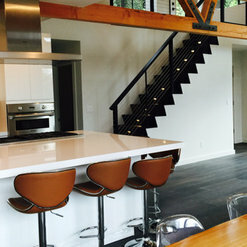 I highly recommend John Barton Architect to anyone interested in doing new construction or a remodel. 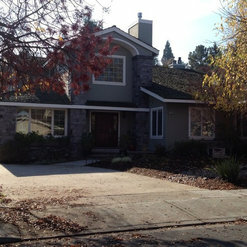 We did a major remodel, addition, and refurbishing of our home about 10 years ago. John did an excellent job of translating our goals and desires onto paper. After listening to us he came up with 3 rough sketches for us to consider. He then miraculously blended them together into a perfect plan for our lifestyle. I think designing a remodel is more difficult than starting from scratch because you have to work with an existing structure and make it blend with the new additions. John made that happen for us. You'd never know it wasn't all built at the same time. We are eternally grateful and will happily stay in our home for many more years. 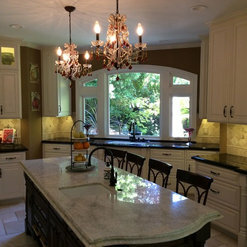 Our project is a medium-sized remodel. We are adding 150sq feet to the front of our house, adding a new roof (for vaulted ceilings), and giving the rest of the house a general facelift. 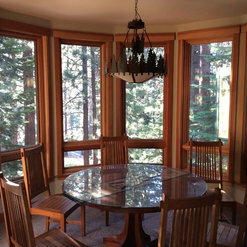 We found John on houzz, and originally chose him because of his stellar reviews. We are very happy that we chose him! From the onset, John was extremely knowledgeable, taking time to educate me on the processes involved in our remodel. He has made a stressful process much more bearable by be responsive to questions, thorough in his designs and answers to our inquiries, and he's handled the communication with the city for us. John's work is high quality and punctual. We highly recommend him. John completed the plans for a re-model including a small addition and some structural changes - he was very easy to work with and created a great set of plans. We have not gone through construction yet, but I expect it will go smoothly with the clear plans. Starting from a napkin sketch of mine, John brought his ideas to the table and helped guide the project in a direction that we are very excited about. We would not have thought of the way he approached it, and we look forward to working with him during construction a bit more. 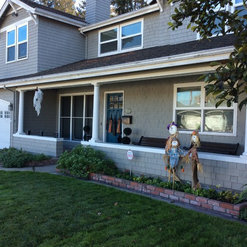 I contacted John about a small renovation project at our house in Fremont last summer. He was very professional and personable. 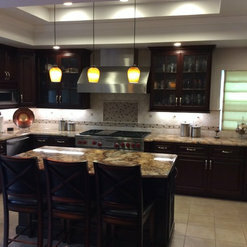 John quickly understood what we were trying to achieve, and was able to assist us with the project in a timely manner. I was referred to John by a friend, and I am completely satisfied. Knowledgeable, articulate, and on time with plans for our addition. His understanding of the ins and out of working with the City and on its processes really helped make the process smooth, and the design he provided in the end worked out really nicely. He was willing to work on changes to the plans as our understanding of space and requirements evolved and impacted the design, and we were always met with a smile. 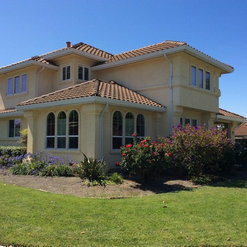 I wanted to remodel my house in Fremont, CA and searched online for an architect. 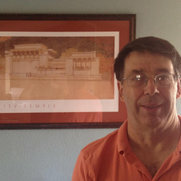 John was the first and only architectural service I contacted. He helped me not only with the drawings but the design as well and provided me with design suggestions that I hadn't thought about before. John is very professional, extremely knowledgeable and easy to communicate with by phone and email. He referred me to a construction company that has worked out very well. The construction work is almost complete now and I'm absolutely thrilled with the results of the entire process from drawings and onwards. Thank you John for all your help with the drawings! I love my new and improved home. I now have a 2nd floor brand new and gorgeous master suite with a bigger bedroom, dreamy new bathroom, and beautiful walk-in closet. I have worked with John on three separate occasions: a 3,800 sq. 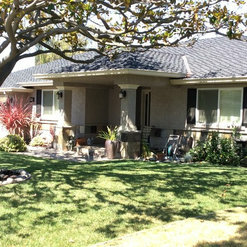 ft. total renovation/remodel project; a five lot subdivision; and a 1,800 sq. ft. window/door replacement project. 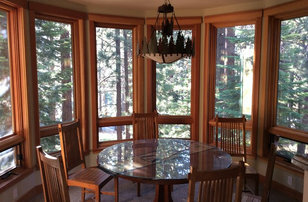 John was professional, timely and easy to communicate with for all three projects. I recommend him to you and will use him again if another project comes up for me. John helped us with engineering and design for a support beam in the ceiling and supporting pillars and footings to allow removal of a load bearing wall. Work included drawings and calculations, electrical drawings, project drawings and submittal to city for building permit. Work was performed promptly and accurately. John came highly recommended and was great to work with. 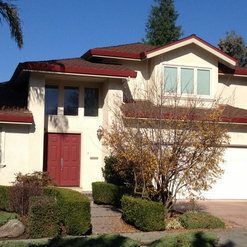 John helped us designed the addition and remodeling of our dream home in the Weibel area of Fremont, CA. Throughout the process, he was respectful to our specific needs as a family with children and seniors, and provided practical advice and guidance on all levels of the project including designs, construction, and costs. I found John to be a very effective communicator and a talented designer. John is knowledgeable in flow of floor plans and home designs, and came up with great solutions to achieve our goals given the limitations of existing constraints. John listened carefully to our concerns and then communicated his solutions very competently and professionally. 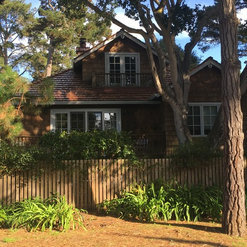 When the plans are completed, John was able to get them approved quickly through the City with his professional preparation and experience which potentially saved us weeks of valuable time. The project will be underway soon, and we believe that John will continue to be helpful whenever necessary through the construction process. I will hire John again for any future projects and recommend him to my family and friends. John has prepared the plans for an expansion to our daughter's house. We are moving in with her and need additional space, especially a bathroom that provides the amenities older people need. We also need additional storage space. John has been very good at making the changes that we requested. We look forward to building this addition in the near future. We believe he will be trustworthy and competent in the construction phase.